Thomas F. Richardson is a trial and appellate attorney with over 35 years of experience in diverse areas of the law, including business litigation, local government law, civil rights and employment law. He has substantial litigation experience on behalf of small businesses and individuals in state and federal courts. He has tried over 125 jury and bench trials. He has served as counsel to municipalities and municipal organizations throughout Georgia, interacting extensively with federal agencies including EEOC, EPA and HUD. He is a frequent speaker before state and professional associations on litigation issues. Additionally, he has significant mediation experience, having received certification through the Harvard Program on Negotiation, and is certified to conduct mediation settlement conferences in the Superior Courts of North Carolina. 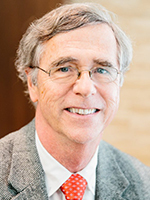 Mr. Richardson has been a member of the State Bar of Georgia since 1975, and a member of the North Carolina State Bar since 2012. He is also a member of the Macon Bar Association and the American Bar Association. He is admitted to practice in the United States Supreme Court, the United States Court of Appeals for the Eleventh Circuit, the United States District Courts of the Northern, Middle, and Southern Districts of Georgia, the Georgia Supreme Court, the Georgia Court of Appeals, and in the State and Superior Courts of Georgia. Mr. Richardson earned a B.A. from the University of North Carolina, Chapel Hill (1971) and a J.D. from the University of Georgia School of Law (1975). He is a past member of the Lawyers Advisory Committee to the Court of Appeals for the Eleventh Circuit (2002-2008). He is also a member of the William Augustus Bootle Inn of Court and the American Board of Trial Advocates. In 2011, Mr. Richardson was presented the H. Sol Clark Pro Bono Award by the State Bar of Georgia for his efforts in assuring the availability of legal services to those unable to afford it. In 2005, 2006 & 2012, he was named a Georgia Super Lawyer by the publishers of Law & Politics and Atlanta Magazine. The Macon Bar Association named him Lawyer of the Year in 2004. Apart from his professional activities and honors, Mr. Richardson devotes quite a bit of time to the Macon community as well. He is an attorney coach for the Central High School Mock Trial Team (1996-present). He served as President of the Board of Directors of the Museum of Arts and Sciences (1994-1995) and as President of the Board of Directors of the Booker T. Washington Community Center (1992-1993).